This is an illustration I made a few years ago just for the heck of it. 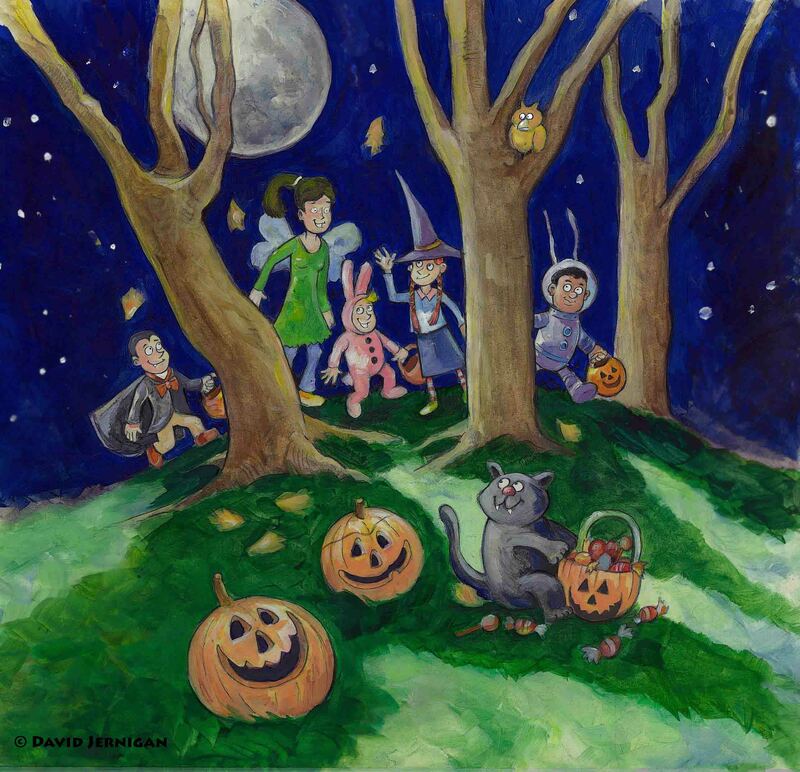 When I was a kid I always loved trick or treating in our suburban Michigan neighborhood. I like how the chubby black cat turned out in the illustration. The cat has quite a haul of candy. It is October and I’m posting a few Halloween sketches. 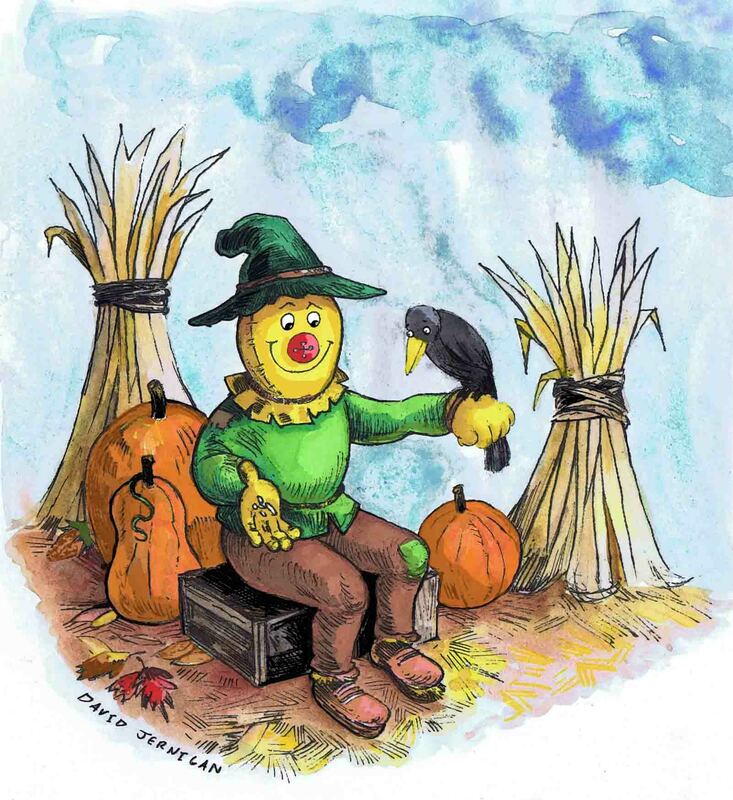 This is my ink and watercolor painting of a friendly scarecrow. However, the excessively approachable scarecrow is not competent in his job and should be fired. 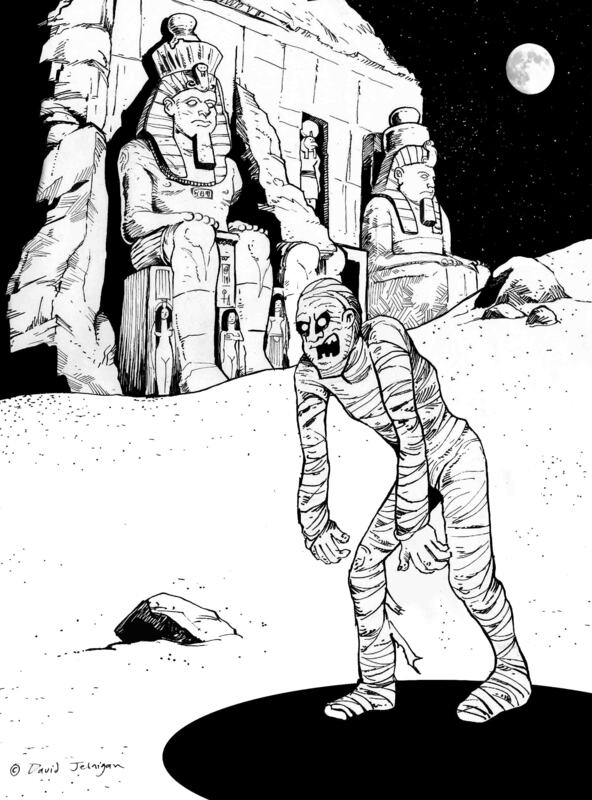 This is my ink drawing of the mummy. It is October and I’m going to post a few Halloween sketches. Last year I created a scarecrow and Frankenstein’s monster. I’m not sure what else I’ll create this year.